For over 18 years, SiliCycle has been offering a wide selection of TLC plates in various sizes (plate, thickness), backings (Glass, Aluminum, Plastic) and chemistries (CN, C18, NH2, 10% Silver Nitrate) to provide best separation experience for both qualitative and quantitative analysis. 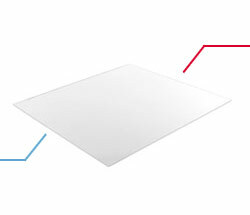 SiliaPlate represents an efficient and economical alternative to other TLC plate manufacturers while demonstrating high separation efficiency and low background noise, due to the narrow particle size distribution silica gel used for manufacturing. The extraordinary silica layer hardness combined to a homogeneous coating and layer thickness allow excellent separation without cracking or blistering. Each TLC batch is chemically and physically controlled by our Quality Control department to ensure lot-to-lot, layer-to-layer and batch-to-batch reproducibility. SiliCycle is a worldwide leader in silica gel products for chromatography, and we are committed to providing high quality plates to streamline our customers’ expectations for price and quality. Besides, we are continuously investing in our research to improve our portfolio and meet today’s ongoing developments. Cannot be stored in lab notebook. Can be stored in lab notebook. Heating stability up to 175°C. SiliCycle offers different types of plates for thin layer chromatography applications: classical TLC, high performance TLC (also called HPTLC) and preparative TLC (PLC). The plate types are selected based on the type of analysis required and the available budget. Various adsorbents can be used for TLC coating; silica, alumina, florisil, etc. However, silica gel is probably the most versatile since it covers almost all types of separation (if the right solvent system is selected). More than 80% of all purifications are performed using silica gel as the adsorbent. Can be unmodified or functionalized, and suitable for a myriad of molecules of functionalities & polarities, such as aflatoxins, alkaloids, barbiturates, fatty acids, flavonoids, glycosides, lipids, nucleosides, proteins, pesticides, sweeteners, vitamins and so on. Aluminum oxide (commonly called Alumina) is the second most commonly used matrix, and shows similar selectivity to that of silica, with 3 different pH ranges (basic, neutral, acidic). Popular applications include the separation for alkaloids, aliphatic compounds, aromatics, steroids, etc. Cellulose can be unmodified or positively charged at acidic or neutral pH, and is hence frequently used for the partition of hydrophilic molecules and challenging separations of sensitive biomolecules carrying ion exchange groups. The ratio of charged cellulose cellulose can be varied to provide more or less retention. The particle size distribution used for the silica is related to the nature of the plate. For standard TLC, silica gel with a mean particle size of 10 - 14 µm is used compared to HPTLC where a smaller particle size is required. In both cases, pore diameter is always 60 Å. Some functionalized silica gels like reversed-phase (C18, C8, Amine, Cyano, Diol, ...) and specialty (Silver Nitrate) plates can also be used as TLC adsorbent for particular needs. in normal phase separation, the mobile phase is less polar than the stationary phase. inversely, in reversed mode, the mobile phase (usually a mixture of water and organic solvent) is more polar than the stationary phase (C18). 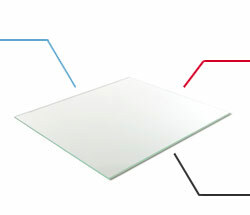 An interesting compromise between standard and micro plate sizes is our Scored SiliaPlate (glass backing). Two different formats are available and possible cut combinations are shown in the image below. 20 x 20 cm plates scored to get four 5 x 20 cm plates (or multiple of 5 cm width). 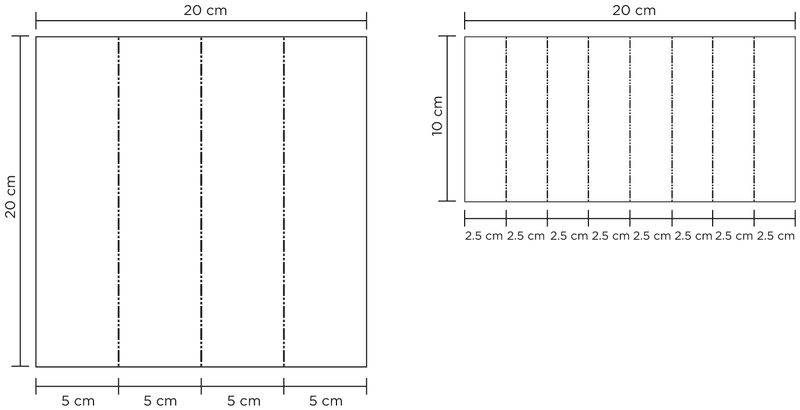 10 x 20 cm plates scored to get seven 2.5 x 10 cm plates (or multiple of 2.5 cm width). 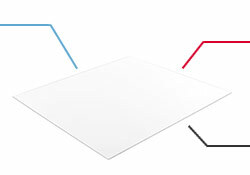 All standard SiliaPlate products are made with a Gypsum binder and have an UV indicator (F254). A long-wavelength (F366) UV indicator is also available. Contact us for custom products.